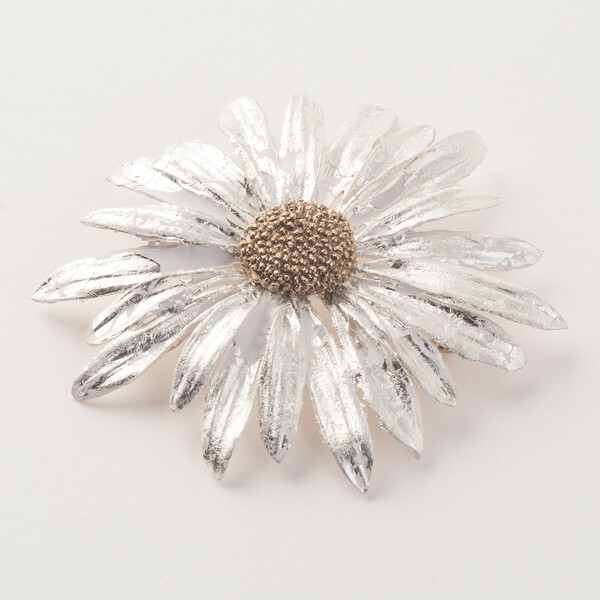 This Daisy pin is inspired by Georgia O'Keeffe's 'Yellow Hickory Leaves with Daisy'. Cast in bronze and finished with silver plated leaves and accents of white paint and a gold-plated center, and measures about 2.75" in diameter. Designed by Michael Michaud for his Silver Seasons Jewelry collection. Made in the USA.